the Black/Infrared Air Jordan VI on his feet. Over the years, the Air Jordan VI including the retro version have been released in different colourways. The shoes are not only fancied by basketball players, but also, sneakerheads, pop stars, celebrities, etc. On the outsole and the upper are the Jumpman logos. The shoe will be one of the unique kicks that will be releasing for 2019 NBA All-Star weekend in Charlotte. 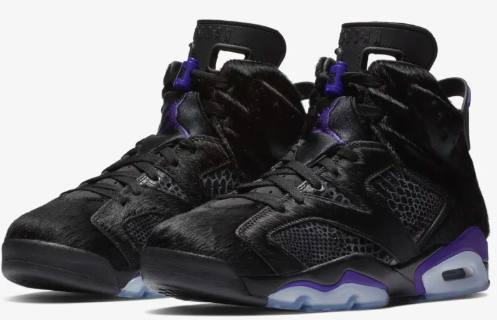 It will also be available in Nike SNKRS later February. Nice! I hope to get a pair of Jordans someday, but I’ll have to figure out which version I want. 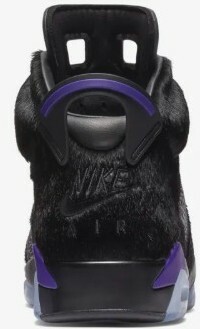 The VI looks pretty neat, and I like the black and purple colorway shown here. A little on the pricey side for my preferences, but another great shoe from the best to ever play! I like how you included a video as well. 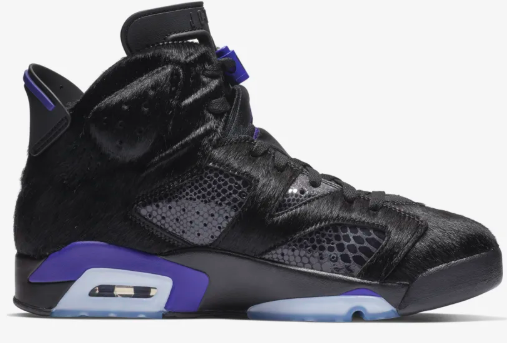 Air Jordan 6 versions are indeed very dope. There are many nice colourways out there. Thank you very much for your fantastic website. It is amazing that you show people where to start and what steps to make towards their dream-like shoes. I hope more people will know about your website and follow your guidance. Thanks Andrey. I appreciate the time you spend here. I really like how you did your post and site, it looks good and explains it very well. These are very cool looking shoes I love the purple in them. I really like how they are described and illustrated. Good job! Man, Air Jordan is awesome, i have Air Jordan right now, but i like this one color, So cool! I am a huge NBA fan, but I don’know to many shoes expect Jordan, thank you for sharing this cool shoes with awesome article! I like these shoes. As spring approaches, I’m currently looking for my 2019 pair of running shoes and these might be it as they’re high top and I’d like to have some ankle support. I love the design and black color, too, as they’re the only color I buy shoes in.